Given its ability to turn in many directions, the shoulder has a superior range of motion, and is the most movable joint in the human body. Yet, the versatility of the shoulder joint often causes it to become unstable, whether due to injury or overuse. When the shoulder is unstable, it can easily become dislocated. Furthermore, once a shoulder has moved out of joint, it is susceptible to recurrent episodes of instability and dislocation. To better understand the dynamics of shoulder instability, consider the three bones of the shoulder—the humerus (upper arm bone), the shoulder blade (scapula) and the collarbone (clavicle). The humerus fits into a socket in the shoulder blade. This socket is called the glenoid. Supporting the humerus within the socket is a system of ligaments and connective tissues that comprise the shoulder capsule. These tissues also cover the shoulder joint, as they secure the upper section of the humerus to the scapula. Given this connection, when the head of the humerus moves or is forced out of the shoulder socket, this results in shoulder instability and dislocation. As mentioned, if this happens once, it can easily happen again. However, complete shoulder dislocations do not always occur. In some instances, only a portion of the head of the humerus moves out of the socket in a “partial dislocation.” Even so, as ligaments and other supporting tissues become loose, shoulder instability can occur repeatedly in either case. 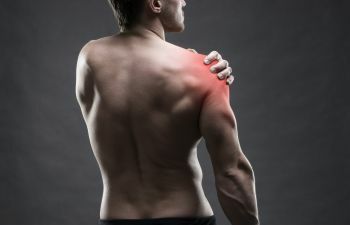 When individuals experience chronic shoulder instability and dislocation, an orthopedic surgeon often performs a shoulder arthroscopy to investigate and diagnose problems within the joint. This involves inserting a miniature camera into the joint through tiny incisions using thin instruments. As a minimally invasive technique for examining the shoulder joint, shoulder arthroscopy results in very little pain for patients. Recovery time is shortened significantly, when compared to open surgical procedures, and patients quickly return to daily activities. Focused on minimally invasive arthroscopic surgery of the knee, shoulder, hip and elbow, Dr. Masi Reynolds specializes in revolutionary treatment options and modern orthopedic care for athletes and individuals from all walks of life. Dr. Reynold’s unique training and background in cartilage preservation and restoration, along with the treatment of complex shoulder conditions has earned him the respect of patients and reputable surgeons across the country. If you are suffering from shoulder instability and/or dislocation, contact the office of Dr. Masi Reynolds, located in the San Francisco Bay area.